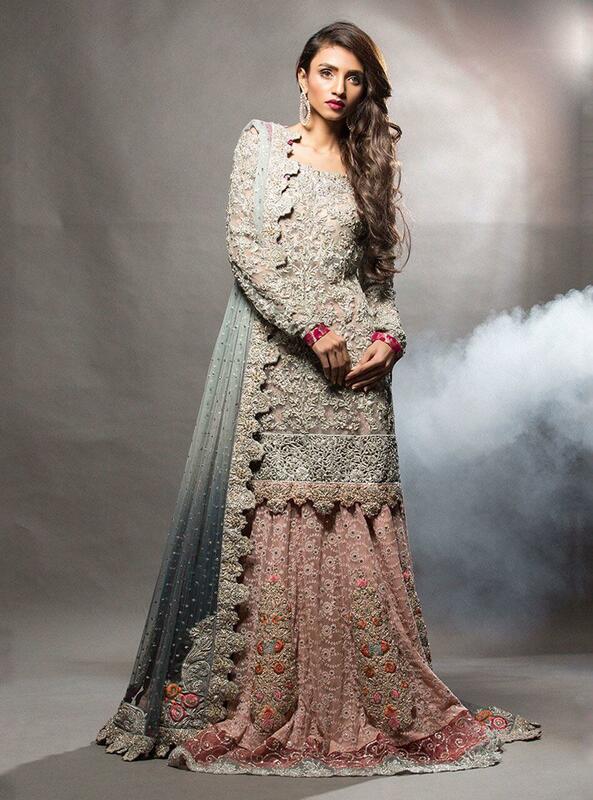 Pakistani dress designers have contributed a lot in the fashion industry. 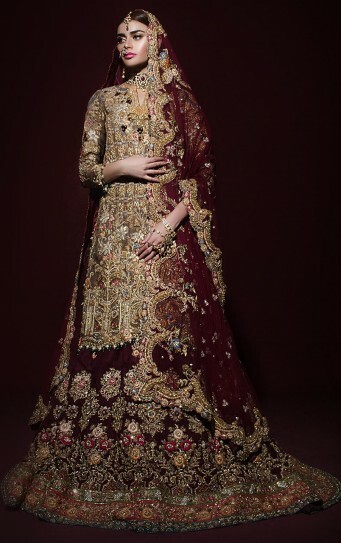 The contribution of designers bridal dresses collection 2019 is remarkable for Pakistani wedding events. Fashion is the language of your body. Your appearance matters a lot. The beauty of your dress is the dignity of your personality. 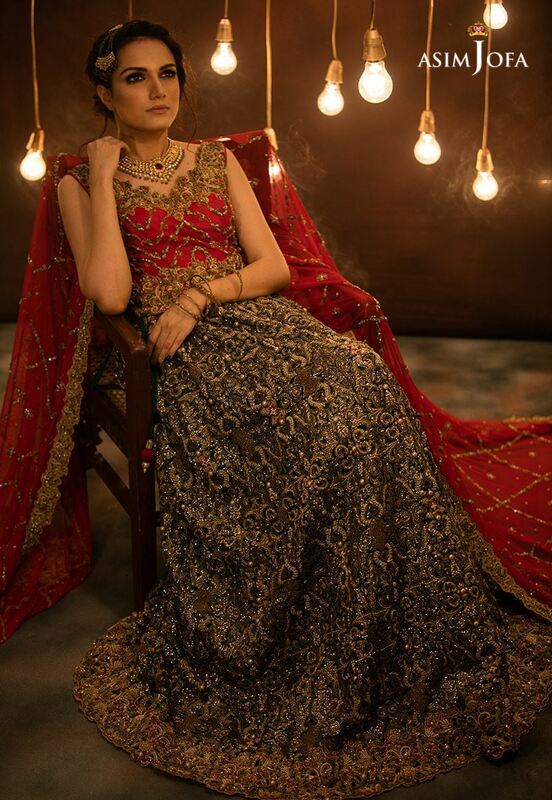 For bridal dresses, you have to be so conscious as it is the occasion on which the wedding couple especially brides needs to look spectacular, breathtaking and magnificent on mehndi, barat and walima day. Our Pakistani fashion designers have worked a lot in the fashion industry from the last several decades to make us show the direction towards the latest trends. 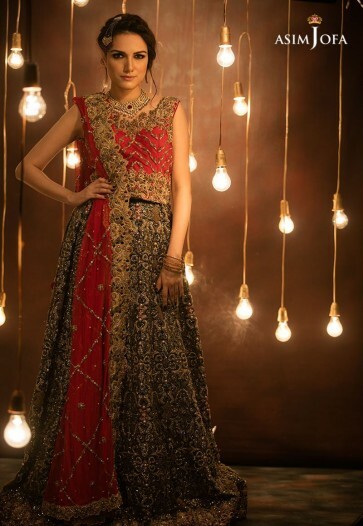 The top most popular fashion designers like Sania Maskatya, Fahad Hussayn, Mirusah, Teena Durrani, Asim Jofa, Nomi Ansari, Elan and Zainab Chottani have done marvelous work on women wear including both casual dressing and bridal wedding dresses overall. 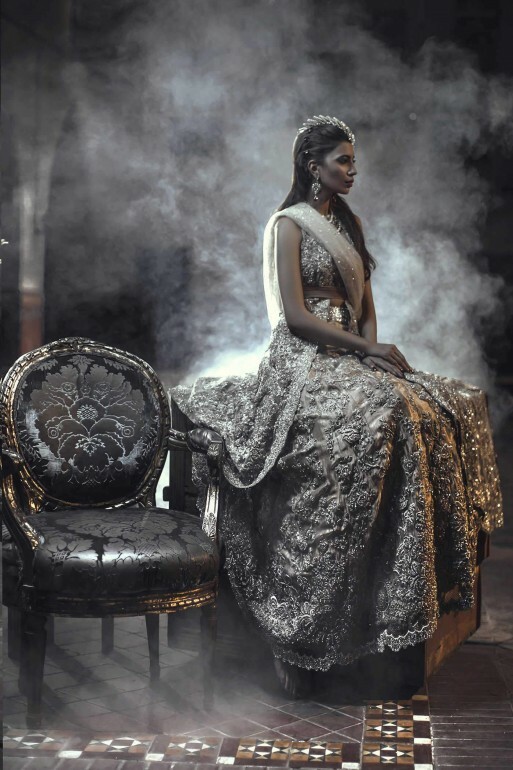 Pakistani top fashion designers of 2019 suggest a huge collection of bridal dresses on different wedding ceremonies including mehndi, barat, walima and nikah functions. You may find all of the wedding designer dresses collection at one place by visiting our latest bridal wedding dresses and more latest one below. An astounding, finest and an exceptional collection of bridals wedding dresses by Pakistani most renowned designers is being presented to you. This is no doubt a precious collection found anywhere. We will look into the collection of some of them. Sania Maskatya has been working hard in the fashion designing industry from the last several years to make us aware of the latest bridal dress designs. Sania wedding wears are more focused on Swarovski crystals, beads dabka, and other elements. 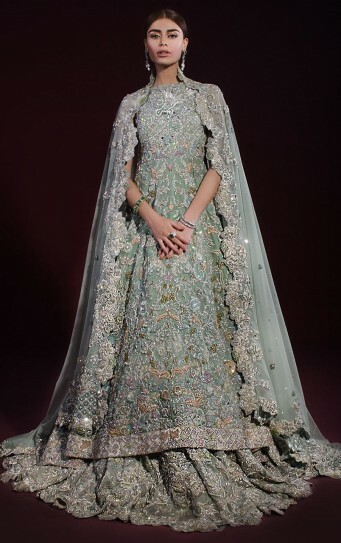 Her unique ideas of heavy embroidered dress collection is appreciable. Here is her the latest bridal collection for 2019. Asim Jofa collection has a mark in the market. Here we present some of the latest bridal dresses of this brand. His dresses mostly have heavy embroidery work and lie in the category of Banarsi. Most of the wedding wear articles of asim jofa are heavily embroidered work on resham using golden and off white color. 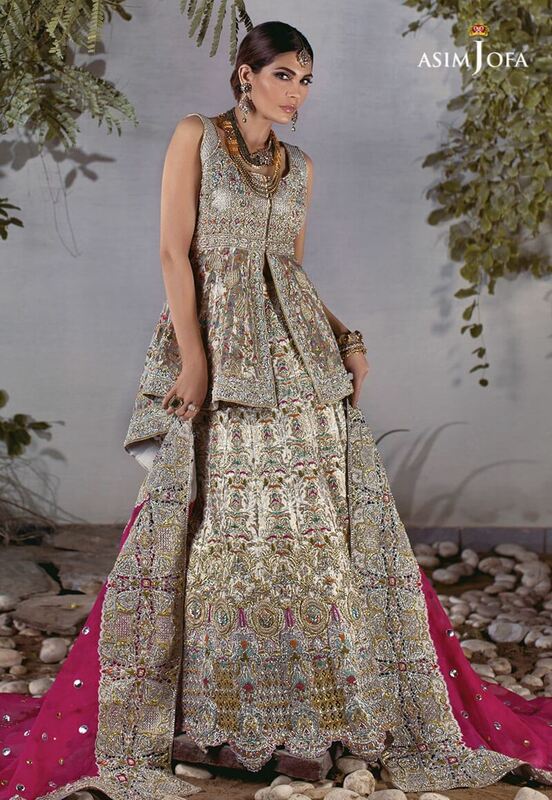 They are impressive in their look and design due to embroidered motifs at bridal lehnga and peplum style shirts. They are no doubt one of the finest collection of Pakistan and win the heart much time at off the ramp and many other fashion shows. 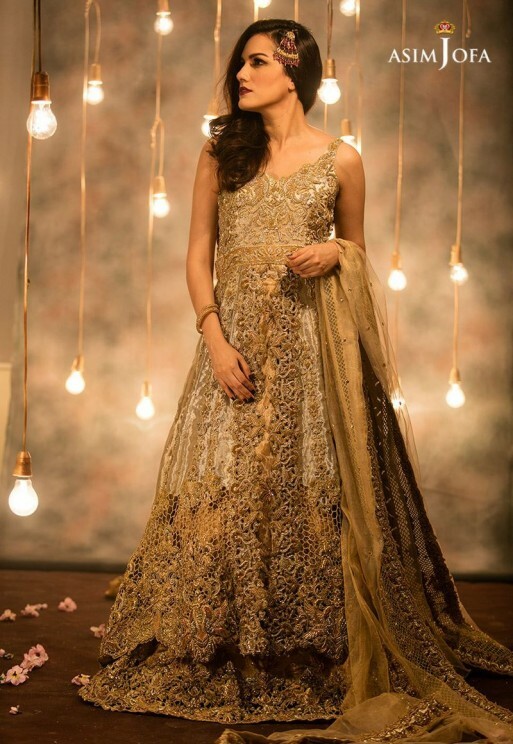 Zainab Chottani has unique bridal dresses in her collection like wow in sound. Her wedding dresses are impressive as well as glamorous. The nice color shades and royal beauty makes the bride become look greatly impressive. 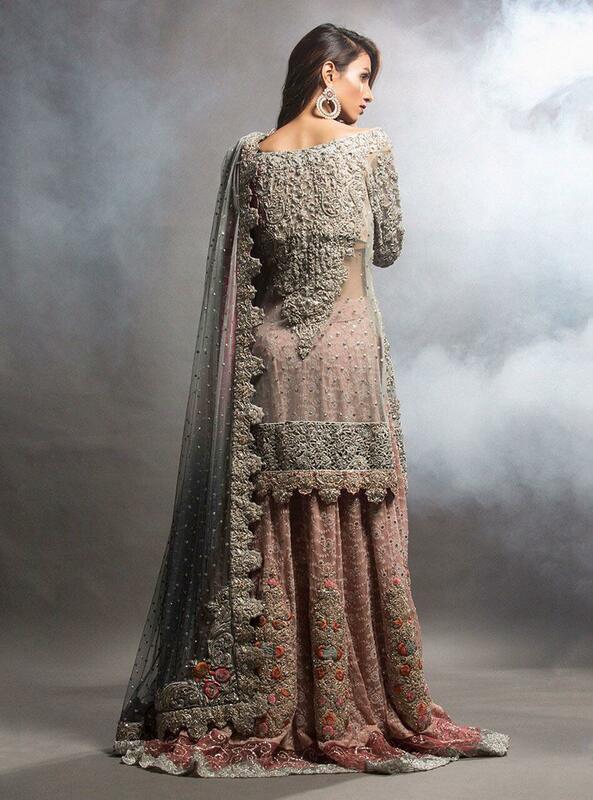 She comes up with ultra unique colors like ash grey, light pink and other light colors embellished with Swarovski crystals, beads, dabka, nakshi work on sleeves and bodice. This fashion designer famous for the embroidered work all over. Its most popular brand among the fashion circles. Celebrities chose Zainab Chottani dresses due to all these reasons. Tenna Durrani finest wedding wear collection for brides is displayed below. You may see the royal look in all these dresses. Her brand is the most followed brand in Pakistan 2019. Although they are costly but the graceful touch makes the dresses look amazing. 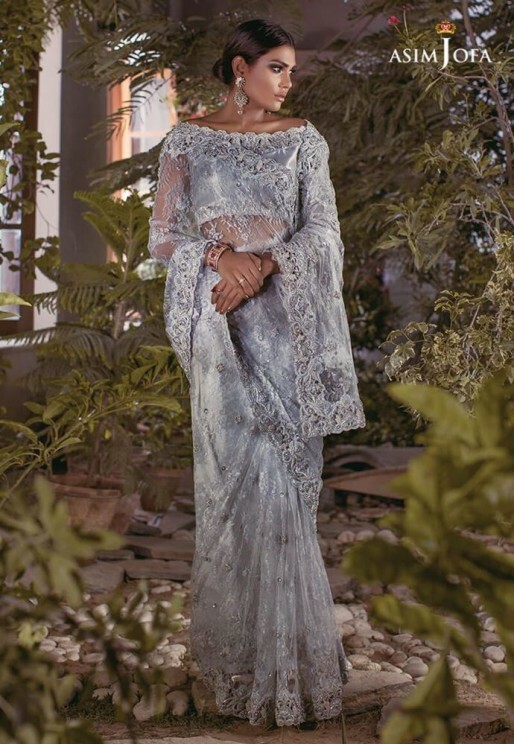 Elan is also one of the top brand in Pakistan for the bridal wears 2019. It offers a large collection of wedding wear for women. Including the party wear, wedding wear for barat and walima. Elan is a perfect choice due to its fancy look and impressive styles. Have you searched for your life partner? i know the answer is NOT YET! check out the recently updated latest men collections for barat dresses, mehndi and walima dresses. 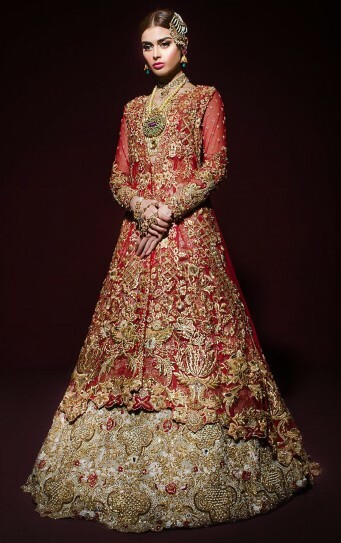 Mirusah bridal dresses are best in design for heavy lehngas and peplum short shirts. It is also one of the top wedding wear for the girls. You may try Mirusah brand to look great on your wedding day. It has multi color as well as embroidered dresses. Maria B is known for her creative latest evening wear dresses collection for special events and wedding dress collections. As you can see the designers Pakistani bridal dresses pictures below you can clearly observe that she is offering collections with normal length and screen printed trousers. 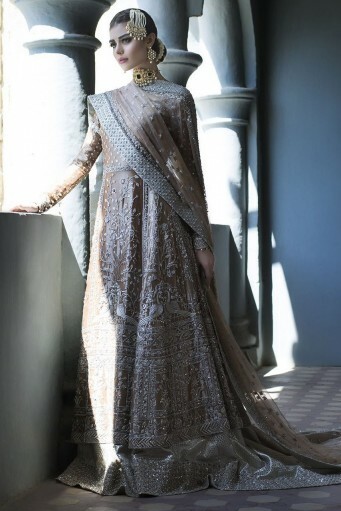 We have recommended you some Pakistan top selling designers dresses of 2019 for the wedding. Due to their fantastic combination and marvelous look, these brands are the first choice of all the people. We have no doubt put forward the latest wedding designs for brides up to the requirements of this time. The designers, with their life experience, and according to the need of the hour, have designed these dresses.